A new article by Max Rashbrooke explores what ‘egalitarianism’ means to young New Zealanders. Max talked with young people, academics and researchers and finds that whilst egalitarianism is no longer a buzz word for our younger generation, it would be a mistake to assume they understand any less about what equality and inequality means. http://thewireless.co.nz/themes/value/egali-what-getting-a-fair-go-in-new-zealand. This is a thoughtful piece and well worth a read. 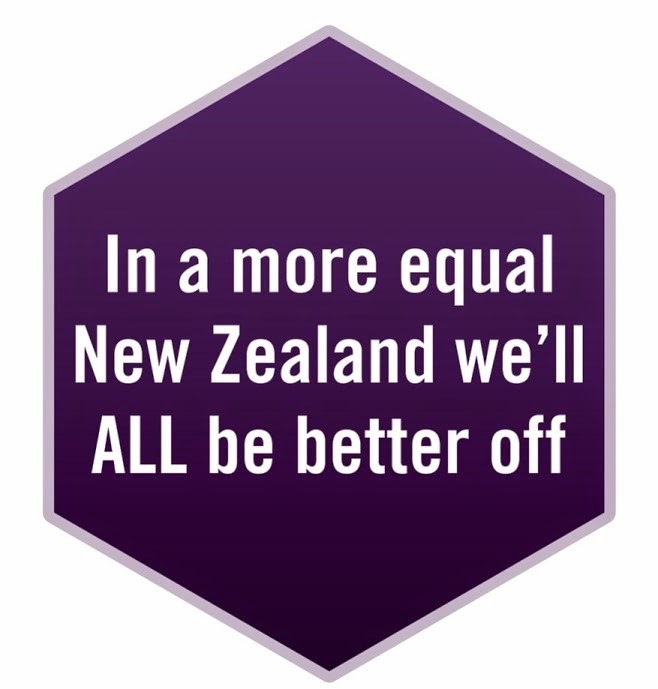 Here’s another great Radio NZ piece on inequality this time featuring the Hon Tariana Turia and NZCCSS's own Trevor McGlinchey. Both contributors add real value to the inequality debate that is currently being played out across the country. Don’t forget NZCCSS’ Services for Older People Conference “The Next Stretch” is coming up in Dunedin (8-9 May). NZCCSS conferences offer a great opportunity for professional development as well as getting to know others working with older people in aged care and other social services. It’s not too late to register either online register or simply call our Dunedin conference organisers (03) 4771377 and they will help you get registration sorted over the phone. See you there! Wanted Your Feedback on Full Audit Reports! The government is looking for feedback on full audit reports and how useful it has been having these online. Community Housing Aotearoa (CHA) and the Maori housing association Te Matapihi have prepared a proposal for how transfers of state houses to community housing groups could be managed in a way that works for everybody involved. The government wants one fifth of social housing to be run by the community housing sector and transferring state houses to community housing groups is one way to help build their capacity. There is no point in doing this if it does not result in additional social housing so it is really important that any transfer of stock works and has the effect of increasing the overall supply of housing for those on low-incomes. Read the media release and download the proposals from the Community Housing Aotearoa. The Families Commission has just released a report on effective parenting programmes to reduce the risk of maltreatment of vulnerable children. This is a 2 day conference (12-13 June 2014) that will overview how Collective Impact works, provide examples and case studies from overseas, and current projects underway in New Zealand. To find out more about the conference and early bird discounts.